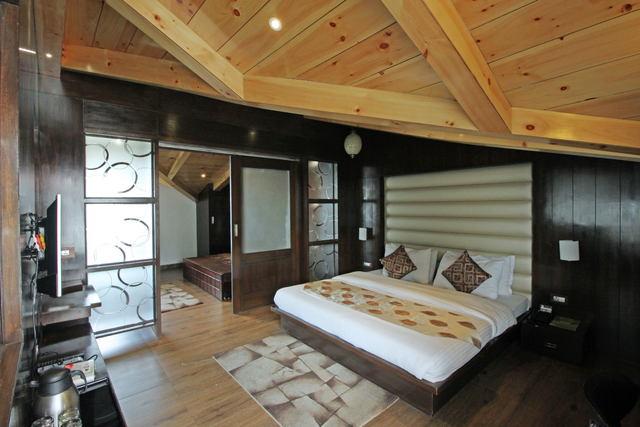 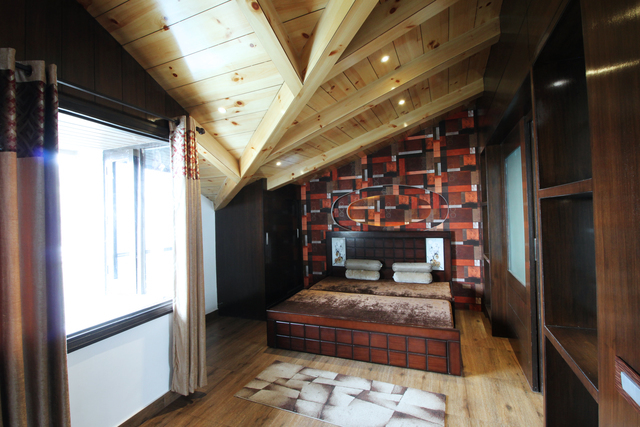 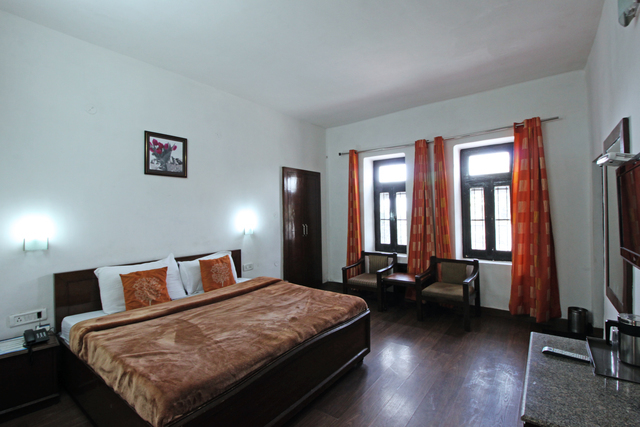 The well-furnished rooms of this modest hotel are decked with warm wooden décor and subtle colours. 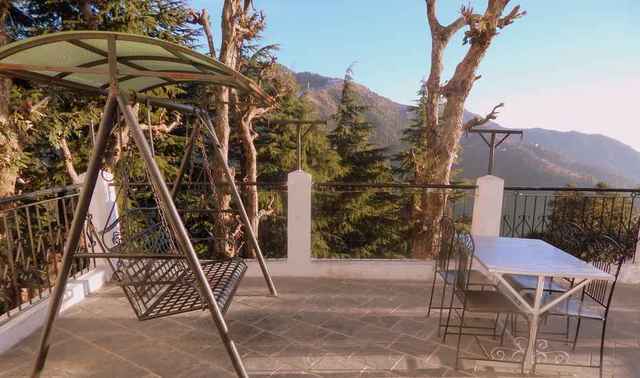 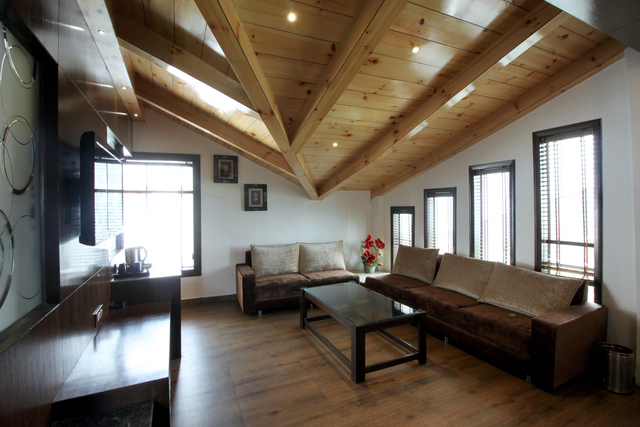 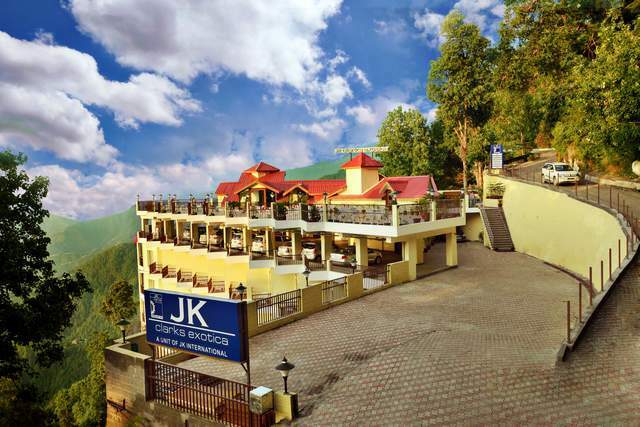 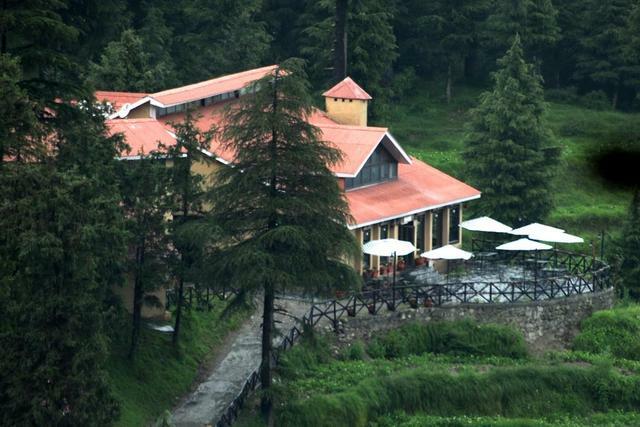 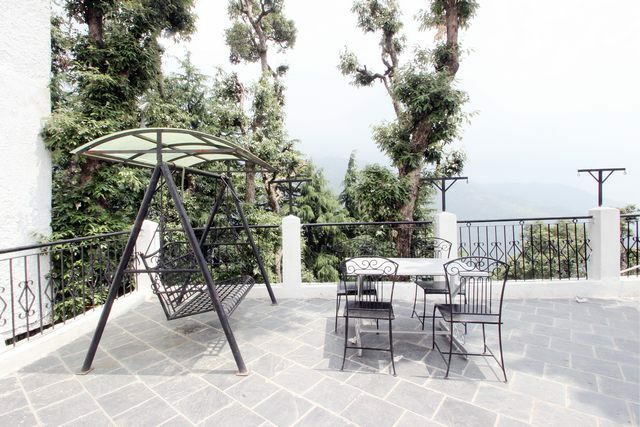 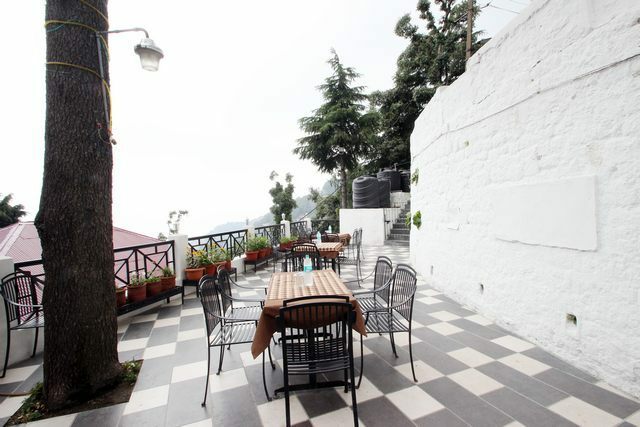 A short walk away from Dalhousie Mall Road, it is apt for a cosy family vacation. 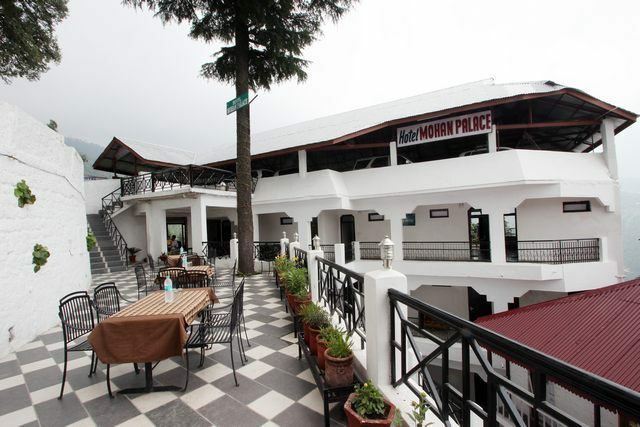 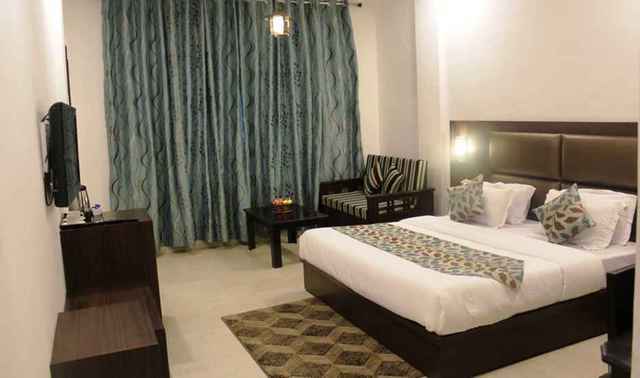 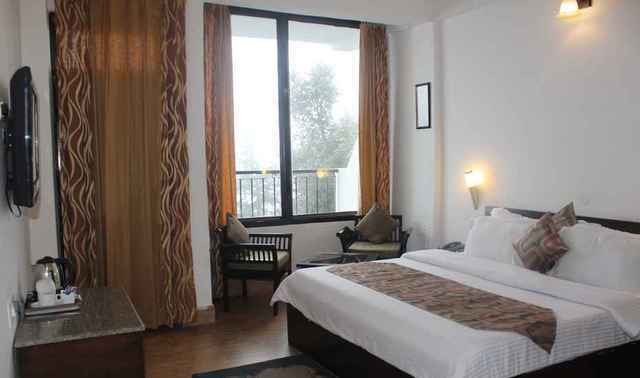 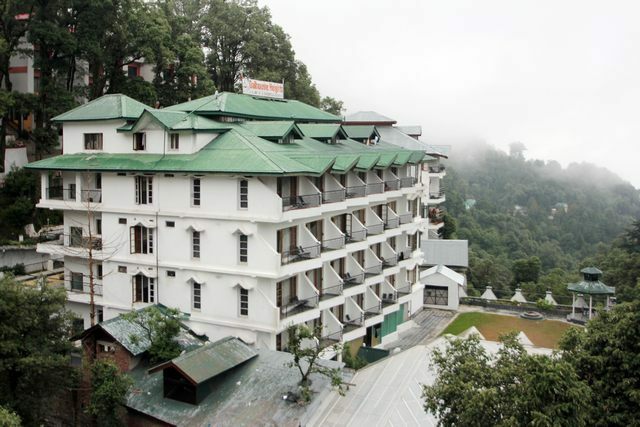 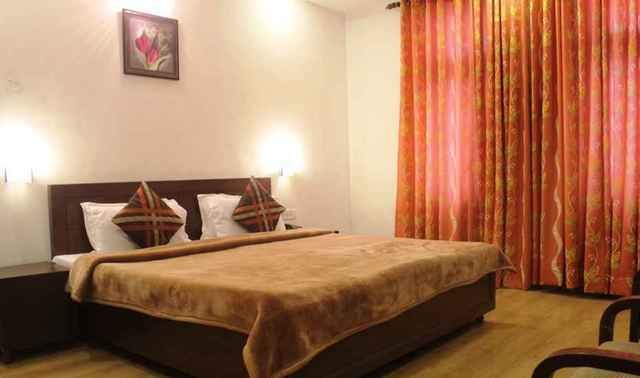 Hotel Mohan Palace, Dalhousie is located in the heart of the city. 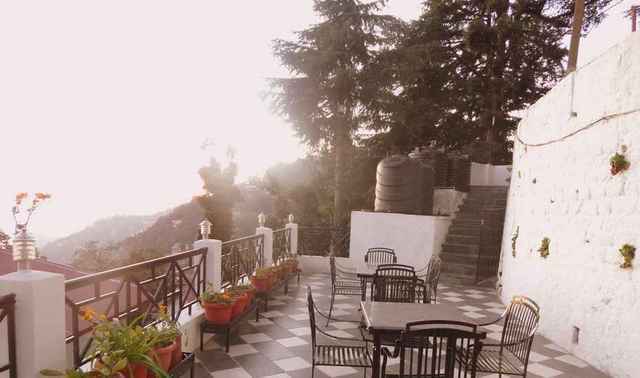 With breath taking views of the valley and lush green gardens, this hotel offers a calm and serene atmosphere. 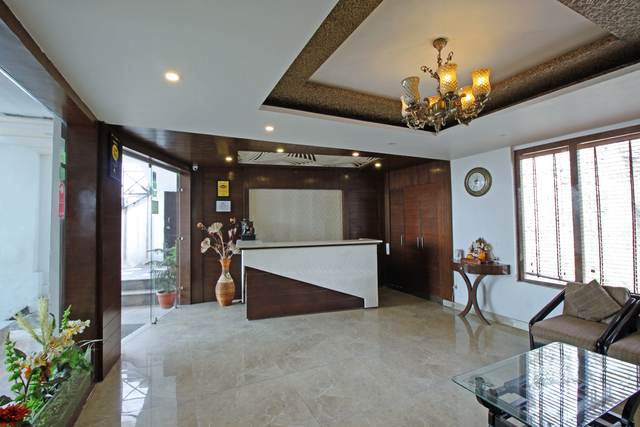 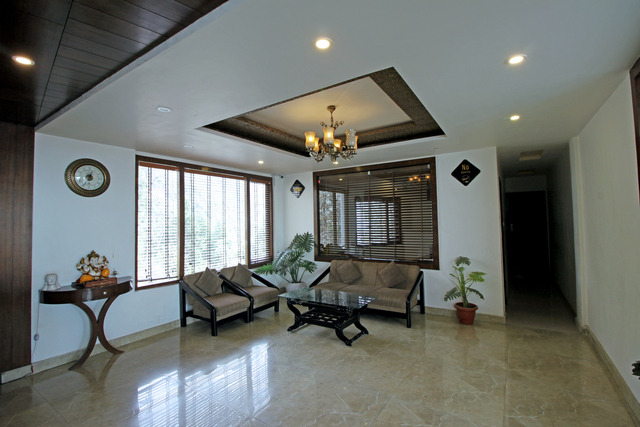 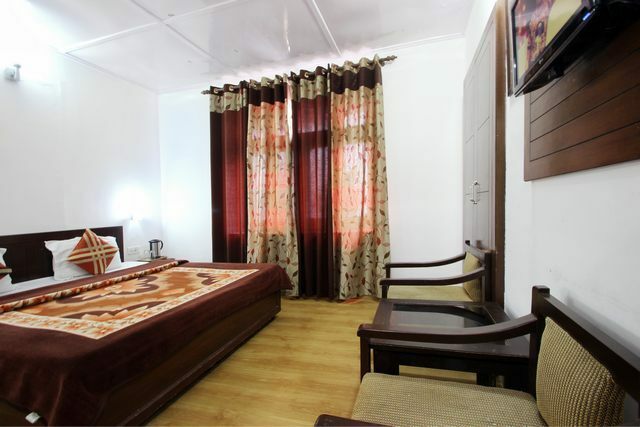 The hotel is ideal for leisure guests and ensures a convenient and memorable holiday experience. 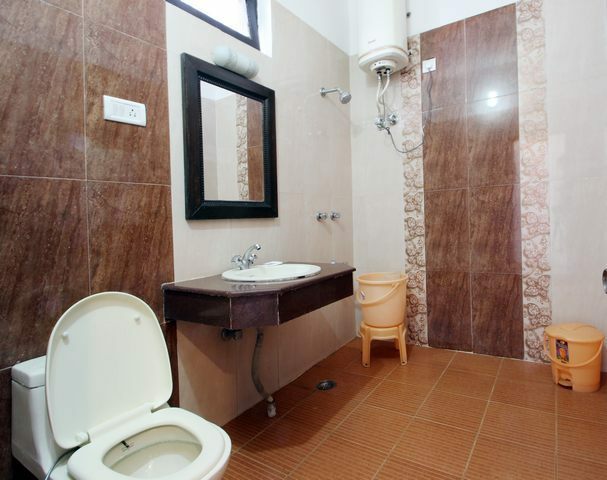 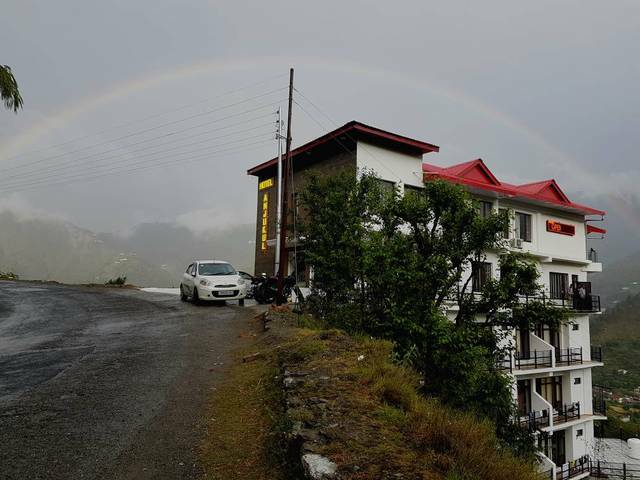 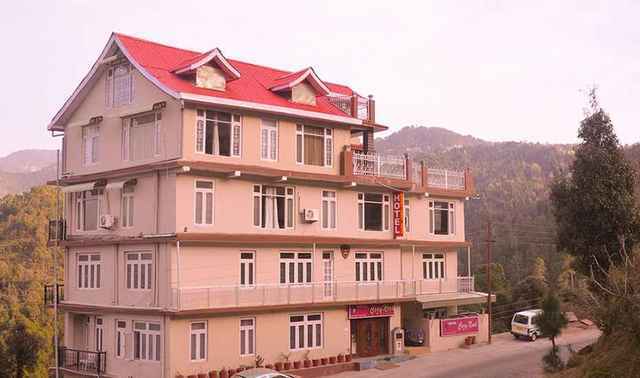 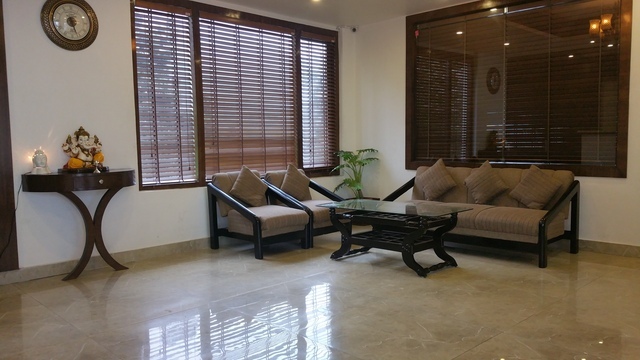 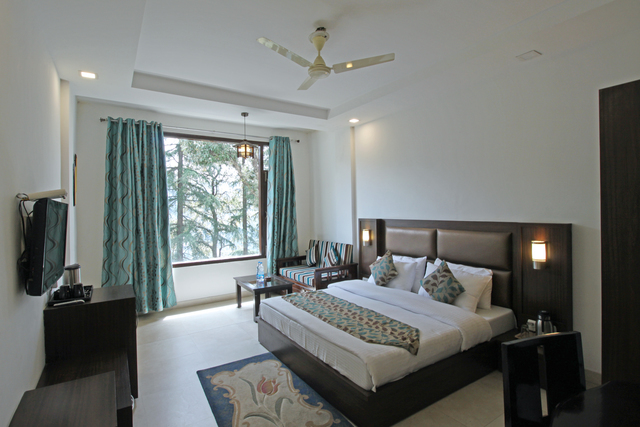 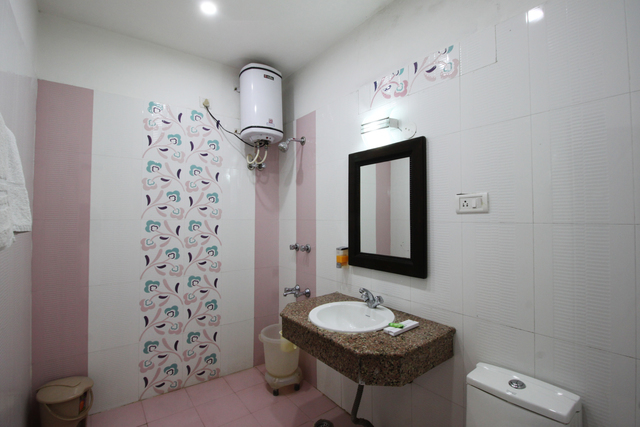 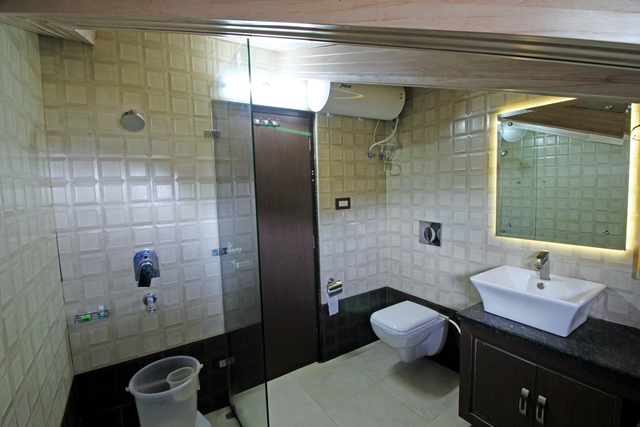 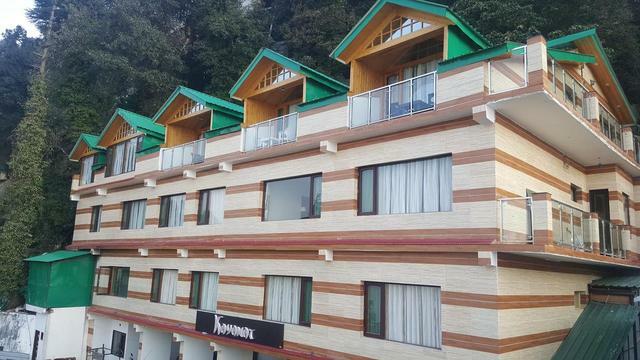 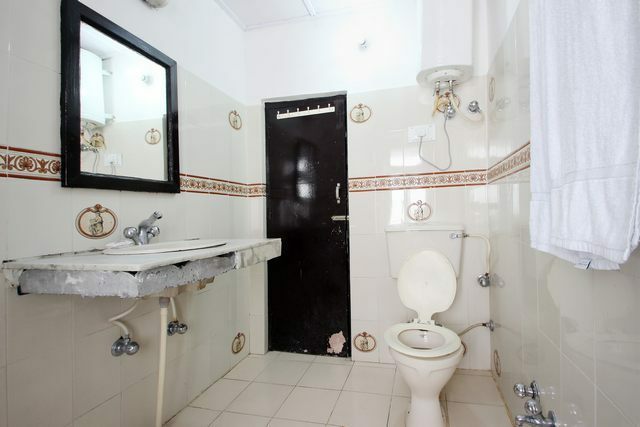 Hotel Mohan palace is located at Khajjiar road, Gandhi Chowk. 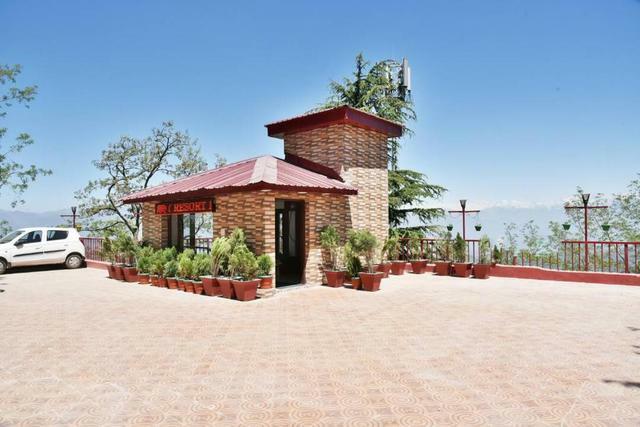 Shree Raghunath Mandir (Approx. 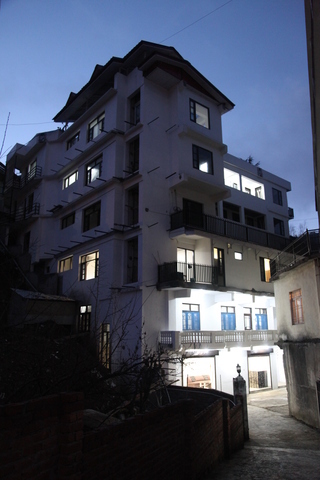 0.5km) and St. John's Church (Approx. 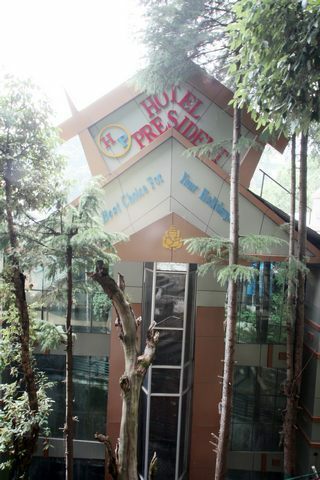 0.5km) are places of attraction that surround the hotel. 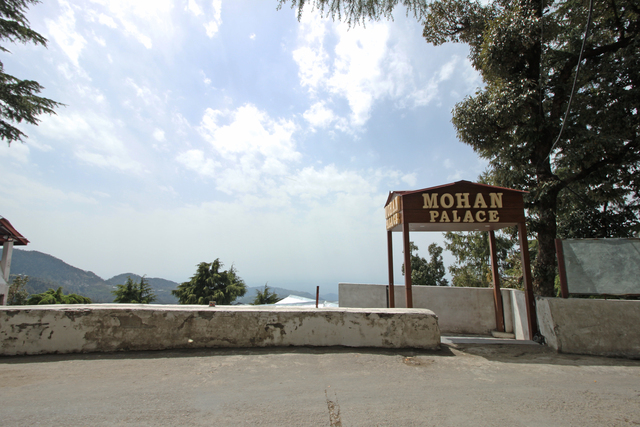 St. John's Church, an oldest church in the town has great historical significance. 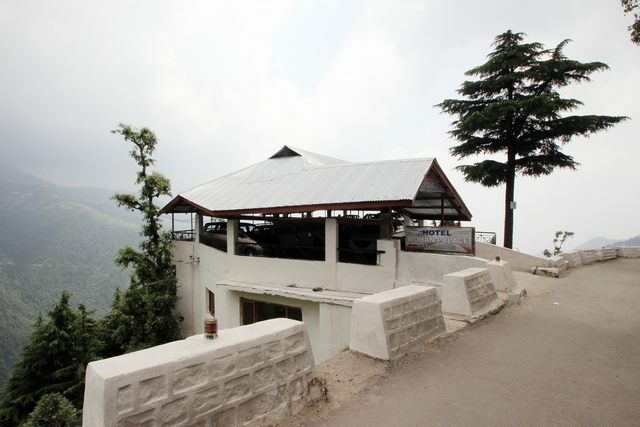 Located amidst beautiful natural backdrop, this church is one of the most visited churches of the town. 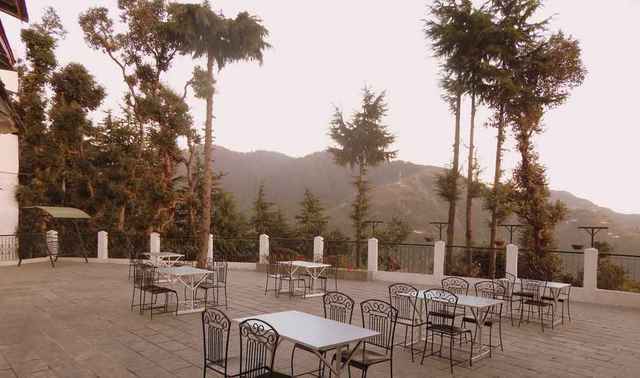 Kalatop Wildlife Sanctuary, Chamunda Devi Temple and St. Patrick's Church are other places worth exploring. 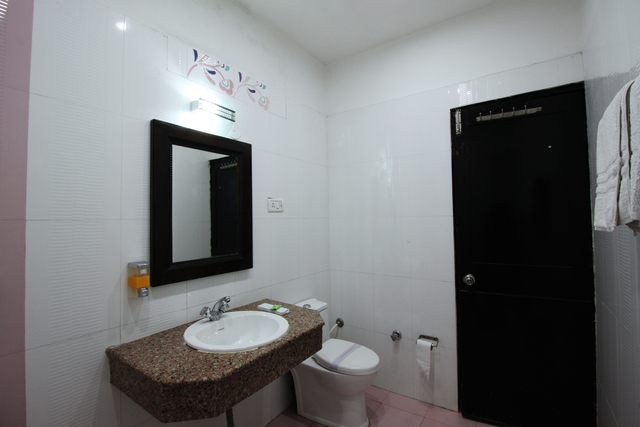 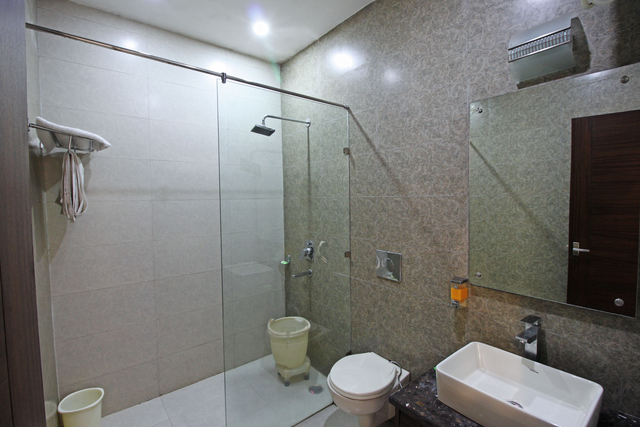 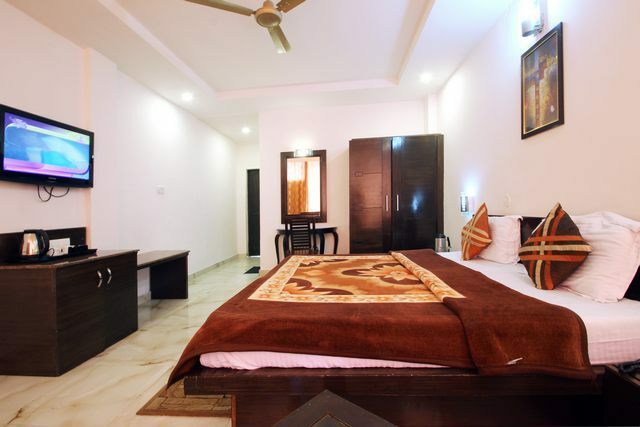 Guests are sure to spend a hassle-free stay with facilities like room service, parking, internet, non-smoking rooms, spa, foreign exchange and doctor-on-call. 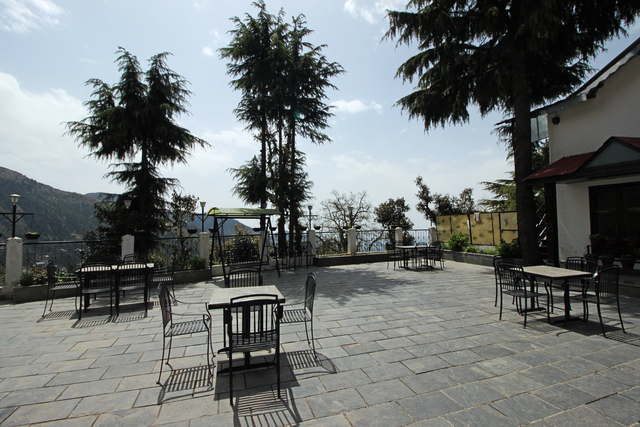 The open terrace garden is ideal for relaxing. 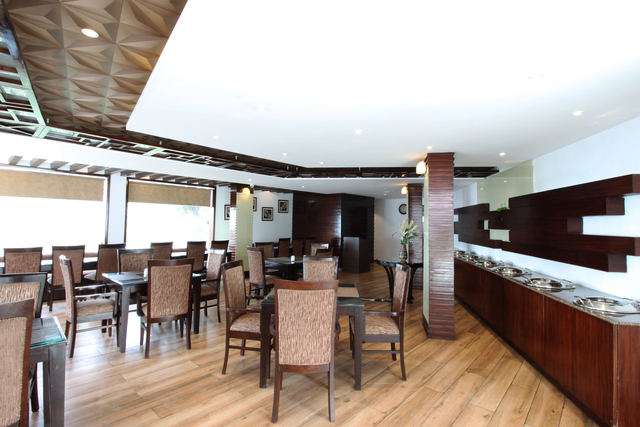 Corporate guests are ensured with business centre to conduct any events and conferences. 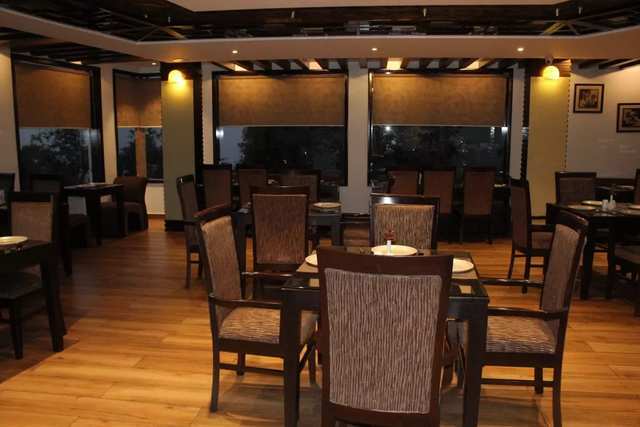 To savour delicious Indian, Continental and Chinese dishes, the in-house restaurant is just perfect. 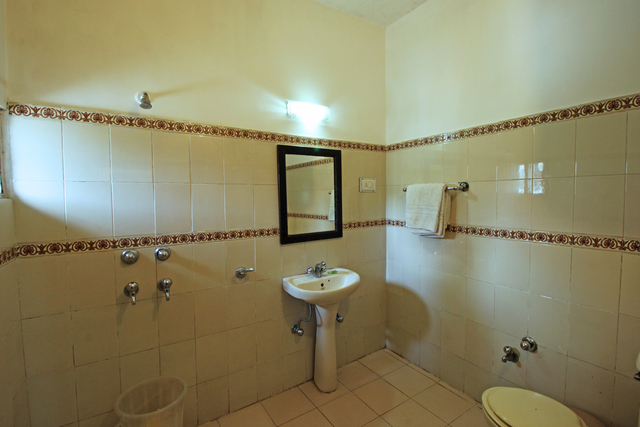 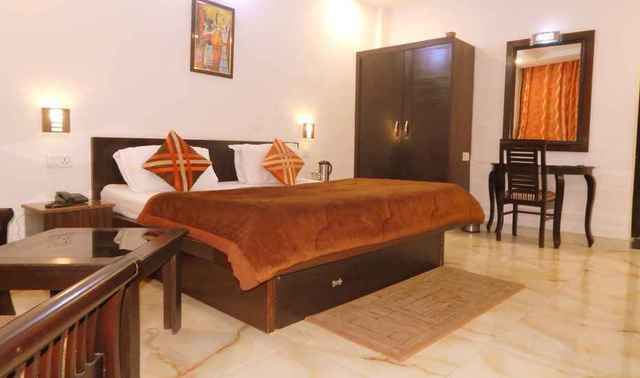 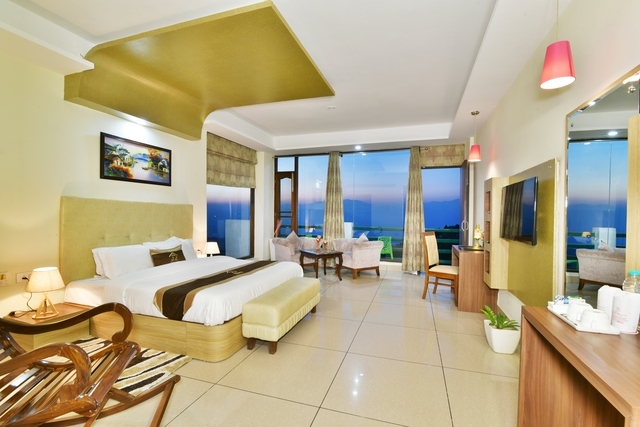 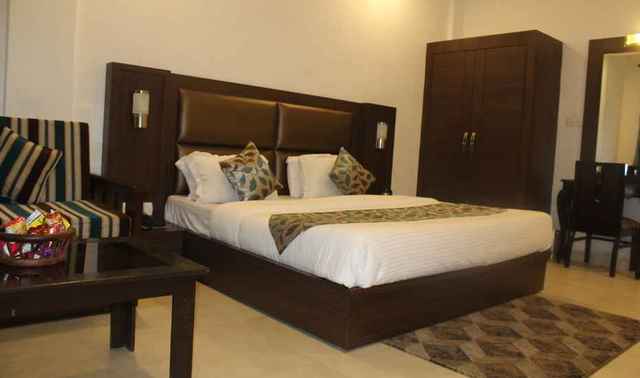 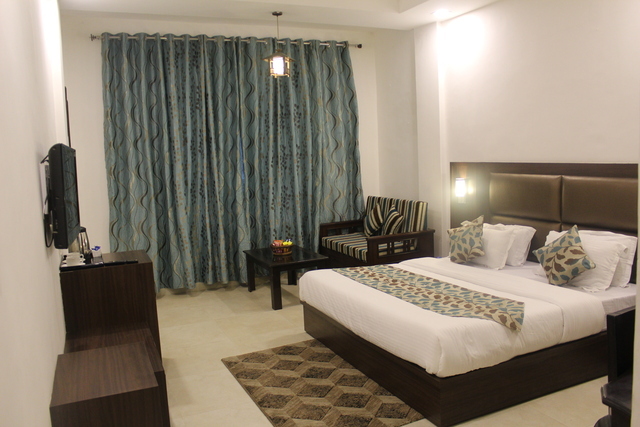 Guests can opt to stay in deluxe and super deluxe rooms. 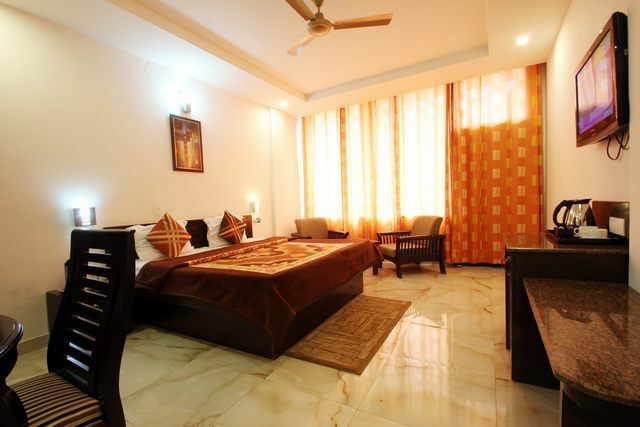 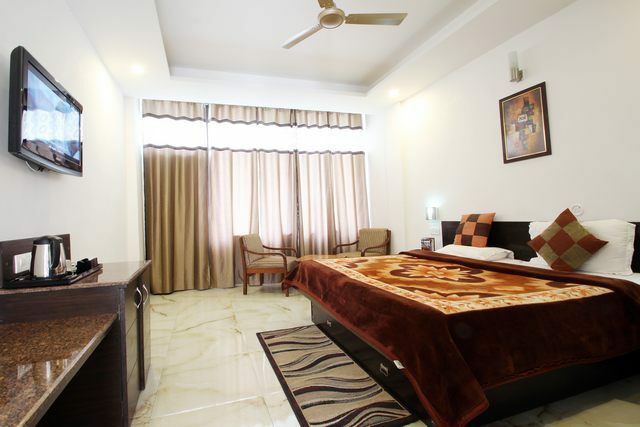 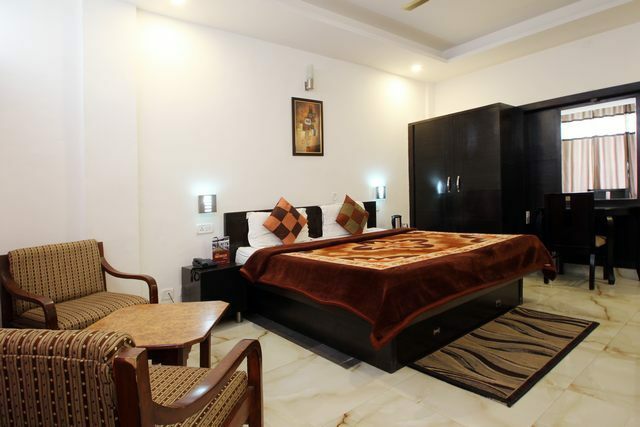 These rooms are elegant and tastefully furnished for a comfortable stay. 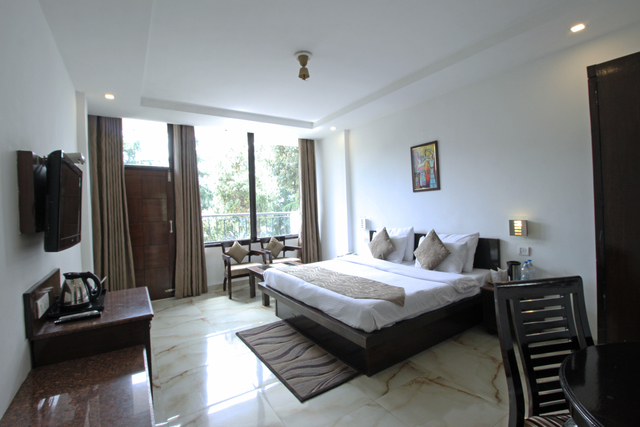 The in-room features include colour television, tea/coffee maker, internet access, telephone with direct dialling, refrigerator, in-room menu and writing desk for comfort and convenience.